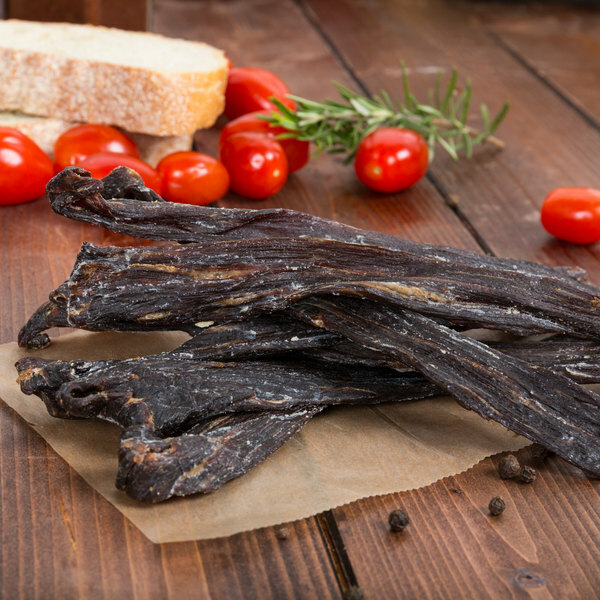 Savory in taste and sensational in texture, these Lancaster County Farms original flavor 7" beef jerky strips take your snacks to the next level! 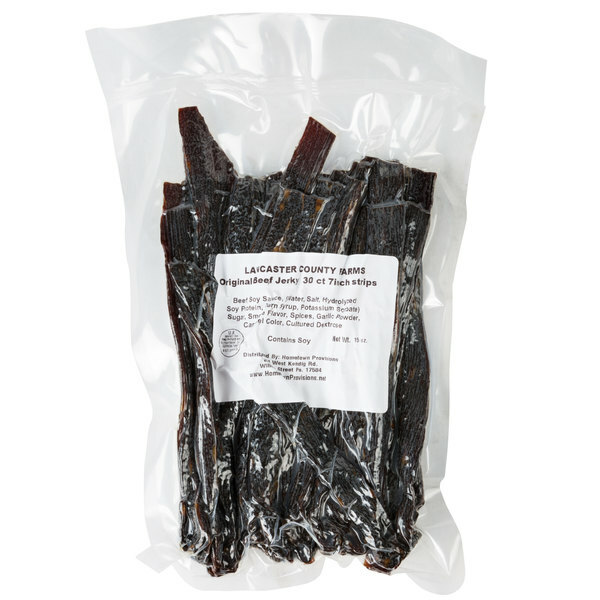 These tender beef jerky strips are made with high-quality domestic beef, marinated in a traditional blend of soy sauce, sugar, smoke flavor, and spices. A subtle garlic flavor sets them apart from the competition, while a meticulous drying process ensures the resulting product is soft, never chewy. This beef jerky is sliced into strips, then dried to prevent spoilage. It requires no refrigeration, making it great for taking on-the-go. Plus, it's packed with protein, making it a flavor-filled, filling snack. 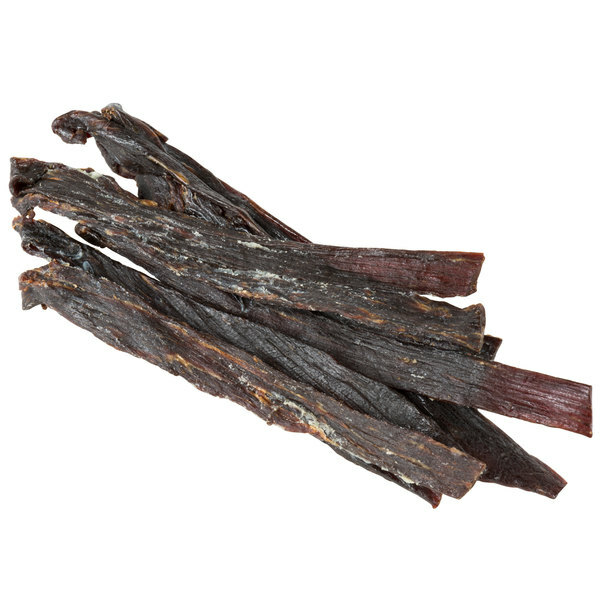 Offer your customers a tasty treat with this beef jerky! Each package of beef jerky comes in a vacuum-sealed bag to help keep your beef jerky fresh. Based in the rolling farmland of south central Pennsylvania, Lancaster County Farms prides itself in creating the finest beef jerky and cheese products. Using fine, high-quality cuts of meat and premium cheeses, Lancaster County Farms delivers a high-quality products that are packed with flavor your customers are sure to love. Offering a wide selection of products, Lancaster County Farms' ensures small-town excellence with time-honored tradition. Serve up the best with Lancaster County Farms!